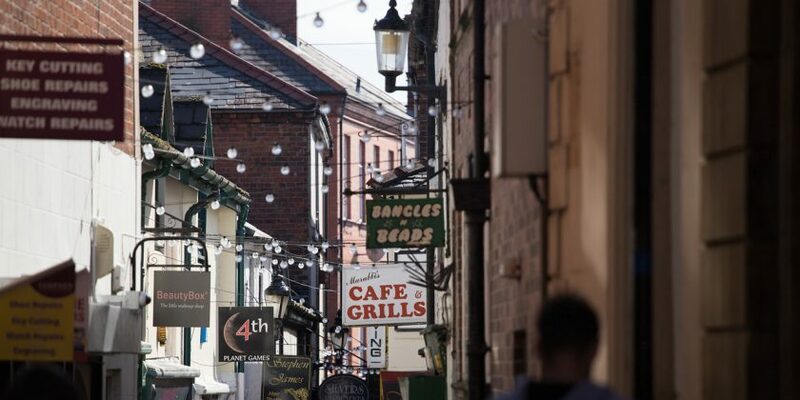 Footfall in the town centre reached 100,000 in a single week during the summer holidays, new figures released by Wrexham Council have revealed. A weekly visitor count of footfall on the high street reached 102,487 during the week starting on Sunday, August 13th, with the highest daily count – of 17,462 visitors – on Saturday, August 19th. The count of visitors is recorded by a new pedestrian counter at the corner of Hope Street and Regent Street. In August 2017 Wrexham.com reported that several months worth of footfall data had been presented at the Town Centre Forum – with figures showing an upward trend in recent months. Unsurprisingly the data showed that the start of the year had the lowest recorded footfall so far, with 50,545 visits at the end of the January. The data does suggest however that the New Year sales provided a boost to the town at the start of 2017, with 67,495 recorded visits. Moving into summer there was a growth in the recorded footfall in town, with the weeks during July consistently recording around 70,000. 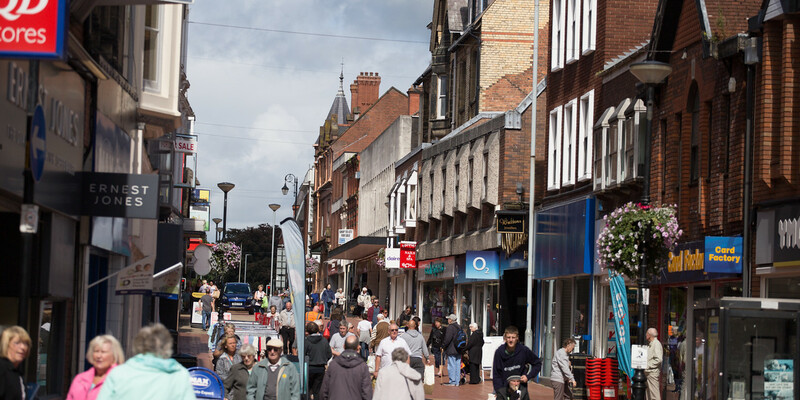 Following an analysis of Wrexham’s High Street performance by the Manchester Metropolitan University back in 2014, a number of recommendations were put forward to help improve the town. One such goal was to look at ways of increasing footfall, through initiatives such as enhancing the appearance of town along with developing new events. As a result data from a new electronic pedestrian counter installed on Hope Street has been feeding through weekly counts to the Town Centre Management team. With criticism of the town often focusing on ’empty shops’, one of the goals put forward was to look at ways to increase footfall, through initiatives such as enhancing the appearance of town along with developing new events. Welcoming the figures, Cllr Terry Evans, lead member for economic performance and regeneration, said: “I’m very pleased to see that the weekly figure broke the 100,000 mark – that’s fantastic for a single week. “We normally expect good footfall during the summer holidays, but this really is excellent, and I hope this will be a further sign of confidence in our town centre and an encouragement to those trading, or looking to trade, in Wrexham. The businesses currently taking part in the project are spread across the town centre and their sales figures (expressed as a percentage increase or decrease) are submitted every Wednesday. The town centre team then processes the data and return a sales report to each business showing how their sales have done vs the town centre, plus they receive an overall view of sales and footfall in Wrexham. The team now hopes to install additional counters in other parts of town as they continue to collate more information to ‘support future initiatives and the development of the town as a competitive destination’.